“It was clear we were missing an opportunity when it came to timber windows and doors when I first arrived as we did not have an offer that was really tailored to the higher end of the market. There are a lot of developers working on smaller, quality developments and also growing numbers of self-builders in Hampshire and we needed an offering that reflected these type of projects,” Ms Fisher said. “I had known Dale in a previous role and felt they would really help us deliver great results for our customers and enable us to develop a new revenue stream. When we met with the Dale team it became apparent very quickly that it was a good match – from a product quality perspective but also from the way the company worked, the support it was offering and the people within it. “We look for key partnerships – companies we can enjoy a really positive relationship with. We certainly have that with Dale, who are more than happy to come out on site visits with us and provide additional technical support throughout the sales and ordering process, through to delivery on site and aftersales, making it simple and straightforward for our sales team here and creating a real difference to our customers,” she added. As part of that partnership approach, members of the Elliott’s sales team have received training from Dale – on both the product range and Dale’s online quoting and ordering system – in addition to visiting Dale’s manufacturing base to understand the qualities that go into the making of its products. “The training was vitally important as it helps the sales team work with customers. The fact the products are higher quality means they have a more premium price tag and the training enables the team to highlight the processes, qualities and guarantees that go into the Dale products," she said. 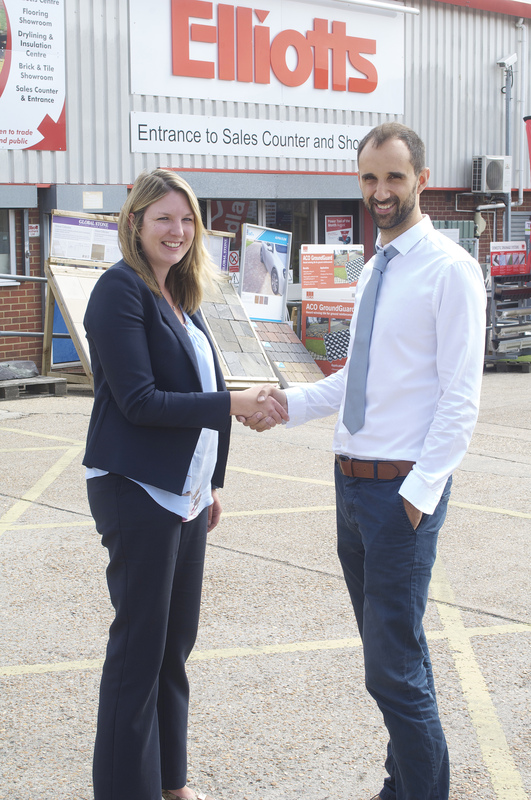 Dale’s sales director, Richard Chapman, said: “For both ourselves and Elliott’s this is a really positive relationship and we are delighted to be working with them.